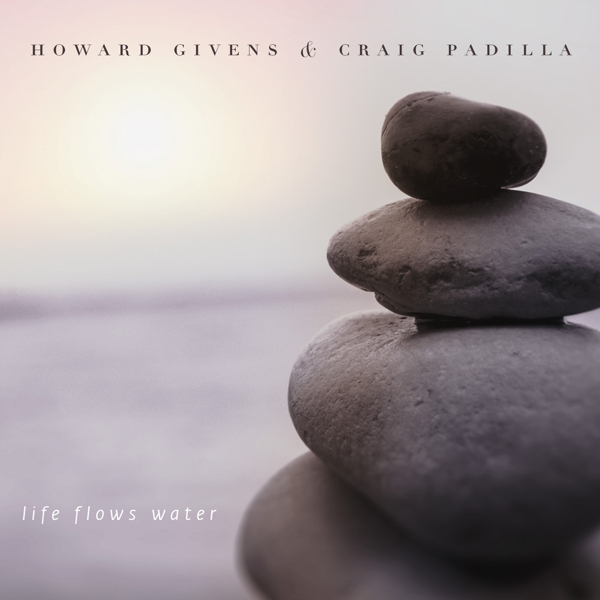 Life Flows Water is a new collaboration between Spotted Peccary Music’s founder and creative guru Howard Givens (Brain Laughter) and veteran electronic virtuoso Craig Padilla. It is a meditation in form, opening and closing with tones from a Tibetan bowl, and flowing, evolving continuously through seven impressions of deeply nuanced ambient electronic artistry. Performed live on a profound array of electronic instruments from classic vintage and modular synths to modern digital keyboards, this delicately choreographed work is really about inward expansiveness – like true meditation – focused on a purity and simplicity in an abstract fulness.